We offer a range of Winches to suit most hauling applications. 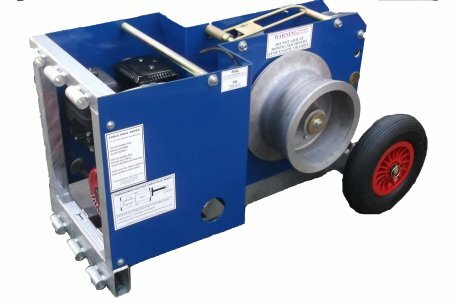 Most of our range of Winches are capstans winches that do not have built in rope, the rope is supplied separately. 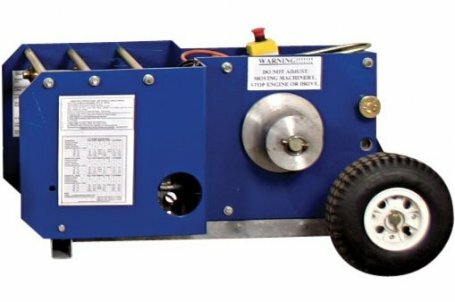 However we do offer 1 Trailerised 3Ton Rated Winch that has wire rope built in as part of the winch (see separate product page for this unit). 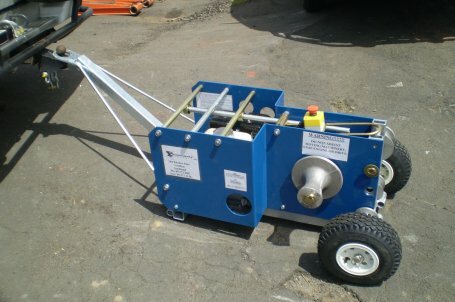 Our smaller more portable winches come in 500kg, 1000kg and 2000kg Rated options. 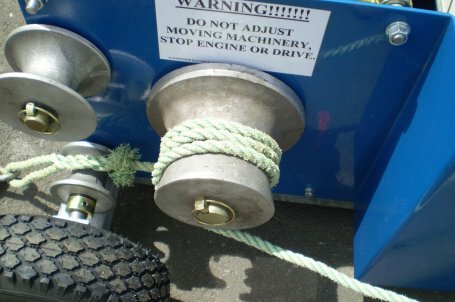 These are petrol driven winches and do not offer variable speeds when hauling. 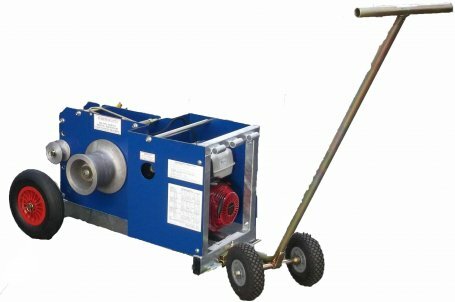 We also offer a couple of Electric Winch options, these are rated for a maximum of 300kg and come in either Single Phase or Three Phase. 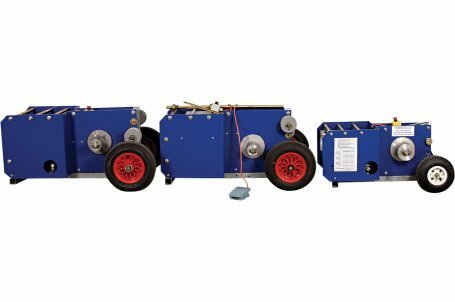 The Electric Winches are ideal for hauling indoors or in tunnels where fumes and noise are a factor. Crane Scales are also available from us, these are useful if you want to monitor what weights are being put on the cable as you are hauling it. If you require more control over the speed at which you want to haul your cable we offer a range of 3t and 5t rated Haulers that are driven by hydraulic power packs that allow more speed control (see separate product page for these items).